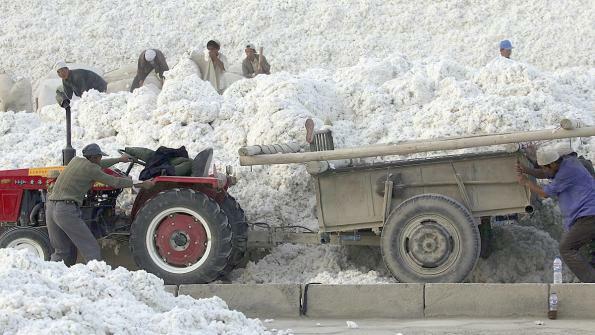 Cotton marketing experts have been arguing about the quality of the cotton in China’s reserves for three years. Now they may be about to find out just how good – or how bad it is. A few days ago the China National Development and Reform Commission or NRCD announced they would begin selling a portion of China’s estimated 58 million bales of reserve stocks beginning in early May. According to the NRCD, 2 million metric tons (the equivalent of about 9 million 480-pound bales) will be offered for sale in 2016. Only a set amount can be purchased daily, apparently to avoid giving the appearance China is dumping cotton on the market. Whether China will be any more successful in this year’s auction than last year’s – when almost no cotton was sold – remains to be seen, according to Jody Campiche, the National Cotton Council’s vice president for economic services. She talked about Chinese cotton developments in a presentation to the American Cotton Producers meeting in Birmingham, Ala. In 2015, China offered the reserve stocks for the equivalent of $1.30 per pound or nearly 50 cents per pound above the world market average at the time. As a result, a scant amount of cotton was sold, and cotton buyers got to see little of the fiber being held in the reserve. Dr. Robinson and other experts say the offerings could be at a more relevant base price such as 85 cents per pound, adjusted for quality, but add that remains to be seen. They do agree the timing of this year’s sales – before new crop enters the market – could be less disruptive than last year’s early summer auction. China’s internal cotton price has been dropping due to the lower price of manmade fibers and the price of imported cotton, says Dr. Campiche. “Back in February, China’s price was actually up closer to 90 cents per pound,” she said. Since then, it’s dropped so China’s price is now down to 81 cents per pound. Polyester prices right now are at about 46 cents per pound. China is also lowering its cotton subsidies. In 2015, China continued its target price of about $1.40 per pound for Xinjiang Province in western China with a lower set price for the other principal cotton-growing regions. U.S. Trade Representative Michael Froman announced recently the U.S. and the People’s Republic of China had signed an agreement in which China will eliminate export subsidies the U.S. challenged in a Feb. 11, 2015 complaint to the World Trade Organization. How the agreement will impact subsidies paid to producers of cotton and grain in China isn’t clear, but Froman has said the Obama administration will continue to seek other areas in which China is violating trade agreements. Dr. Campiche said China announced in 2015 it was limiting imports to the minimum tariff rate quota of 4.1 million, a significant decline from previous years when the country imported more than 10 million bales a year. China’s cotton production has been declining due to the lower support price and preferential treatment for grain crops in some of the country’s older cotton-producing regions. In 2015, India surpassed China as the world’s largest producer. China’s overall acreage declined 23 percent and production was at the lowest level since 2000. China’s mill use has also been trending downward so that its textile industry consumed 32.5 million bales in 2015. That’s down from 34.5 million in 2013-14. Overall, that has allowed a slight reduction in China’s ending stocks from 64 million to 58.1 million bales in the last year. “This is still a large amount of stocks, and it continues to be a burden on the market,” she noted. For more on the U.S. cotton industry, visit www.cotton.org.